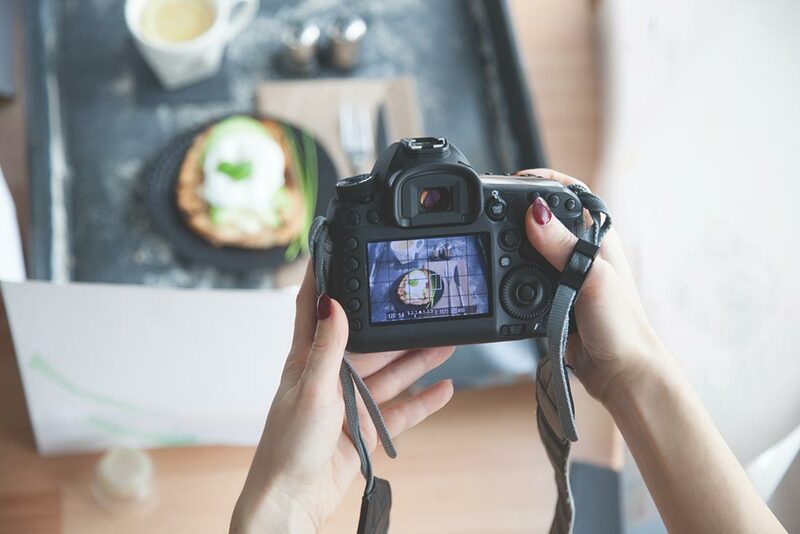 For any chef — whether new to the industry or a seasoned pro — Instagram is a fantastic resource for inspiration. As long as you follow the right people that is. Navigate away from all the smashed avocado on toast and flat whites and you can find the chefs of Instagram that are worth following. Take a look at 10 of the best below. 10 years on from publishing his debut cookbook, Yotam Ottolenghi is still serving up some sensational dishes and dazzling his 638,000 Instagram followers. If you’re looking for a little Middle Eastern inspiration in your cooking, then @ottolenghi should be your first stop. Expect stunning large platters of his characteristic salads, delectable desserts and the odd behind the scenes from his delis and restaurants in London and the release of his brand new book, Ottolenghi Simple. Marco Tola is an Italian chef currently based in The Hague in the Netherlands. His Instagram profile is something to behold, with each and every dish being an individual work of art. “I love molecular gastronomy, working with fresh ingredients. I’m studying and trying [a] new dish every single day. Rene Redzepi is the chef and co-owner of 2-Michelin star restaurant Noma in Copenhagen, which was voted the best restaurant in the world by Restaurant magazine in 2010, 2011, 2012 and 2014! And his Instagram feed is equal to that. Expect a fair share of finished dishes straight from Noma’s creative kitchen, but also look out for his posts on the rare ingredients he sources for the restaurant, such as unripe pine cones, honey ants and even huitlacoche. The executive chef at London’s Duck & Waffle, Tom Cenci’s Instagram feed is a feast of finished dishes, all shot using aesthetically pleasing top-down photography. A quick browse will give you all the inspiration you need with a plethora of innovative dishes on display, from smoked eel mousse to homemade gin gummy bears and this Reginette pasta dish with pine nuts, confit duck yolk and truffle. Chef-owner of Shawarma Bar and BERBER & Q, Josh Katz’s Instagram feed is filled with Middle Eastern-inspired, grill house-style delights. His high contrast photos and rustic backdrops give his profile a unique grungy feel that pairs perfectly with his down-to-earth food. Björn Frantzén is a Swedish chef (and former footballer) that owns and runs Frantzén in Stockholm; a restaurant that this year picked up its third Michelin star! He owns several other restaurants throughout Stockholm, including The Flying Elk, and is set to launch a new restaurant called Zén in Singapore next month. His photography is first class and the food his captures is innovative and mouth-wateringly presented. After 20 years in London’s top restaurants, such as Le Gavroche, The Restaurant Marco Pierre White and The Square, Jun Tanaka is now the chef and owner of The Ninth in Fitzrovia, London. Great food, great photography, as well as a few shots from his travels and food exploration make this a must-follow account. We all know Heston and his innovative creations. And expect exactly that from his Instagram feed. Together with his food team this profile is filled with innovative gastronomic wonders such as this ice cream with Vegemite, toasted barley cream, yeast caramel, macadamia, puffed spelt and sourdough crumble. Looks simple, right?! This French chef has 23 restaurants to his name in the United States, as well as another 14 in other countries around the world, including Jean-Georges at the Connaught here in London. His Instagram profile celebrates the variety and quality on offer at all of these venues — from the finished dishes through to great raw ingredients like these fiddlehead ferns. East coast fiddlehead ferns in the deepest forest green. One of my favorite vegetables of the season. Christine Flynn (under the alias Chef Jacques la Merde) has a great profile if you’re looking for inspiration with food styling and a bit of humour. Her dishes are tweezered into place (which is perhaps a little inconvenient for a commercial kitchen) and they look stunning. So there’s 10 chefs we think you should be following on Instagram. But if you want behind the scenes access to a fresh produce supplier like First Choice and a glimpse at the produce as soon as it comes into our warehouse, follow @FirstChoiceProduce. Previous PostWhat is a Sudachi Lime? Next PostWhat is Fenland Celery?